I had mentioned earlier that I love using face masks which keeps my skin in line. Any laziness is a strict no-no for my skin. But, there are those transitional seasons when my skin cannot makeup its mind whether to be oily or dry. I might use a drying face pack all over my face, but then, the jaw area might feel flaky. Again, using a hydrating mask all over the face is not an option. About a year ago, I saw the multi-masking trend on YouTube. It did look interesting. But lazy as I am, never came round to try that out. 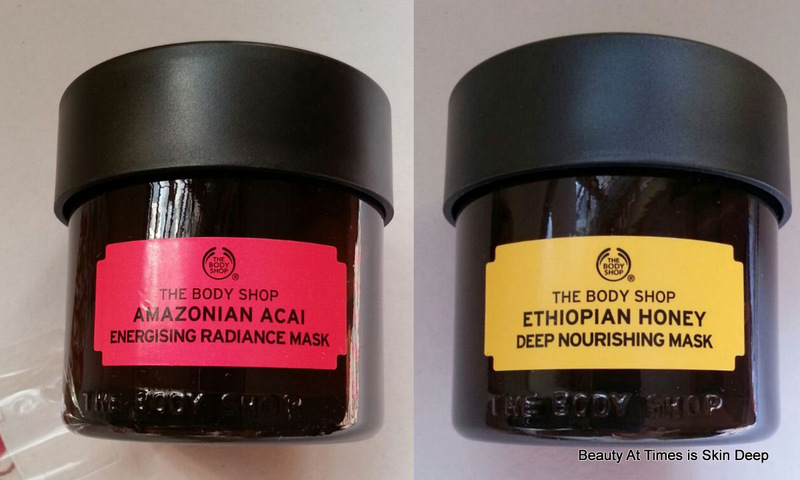 Recently, in India, I see that The Body Shop has launched 5 Superfood Face Masks using natural ingredients. I had earlier the Spa of the World trend because it felt so global! 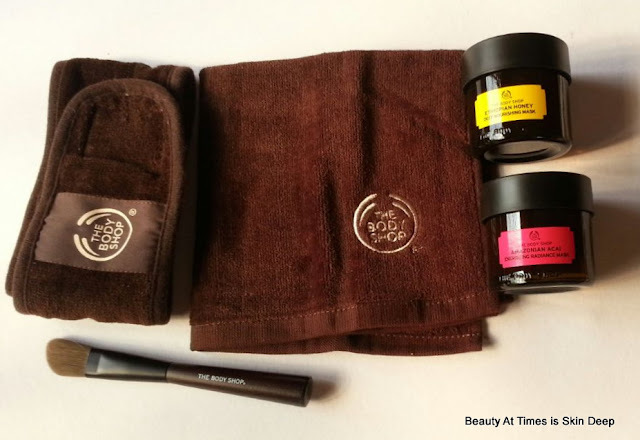 This time it is the face masks curated with themes and natural ingredients , British Rose Fresh Plumping Mask, Amazoniam Acai Energizing Radiance Mask, Chinese Ginseng and Rice Clarifying Polishing Mask, Ethiopian Honey Deep Nourishing Mask and the Himalayan Charcoal Purifying Glow Mask. Honey for my jaw area which could may be use some hydration? What I am particularly liking about the trend is the MultiMasking Multitasking. Now, for myself, I don't like doing anything while I put on a mask because, I am always high strung and trying to relax takes an effort. While I put on a mask, I might just put on some music or just lie in my bed trying to drive off all the thoughts and worries and I am sure many of you would relate to that. To not to think of anything is a huge effort in itself. So, here goes my multitasking and masking story. What's yours? 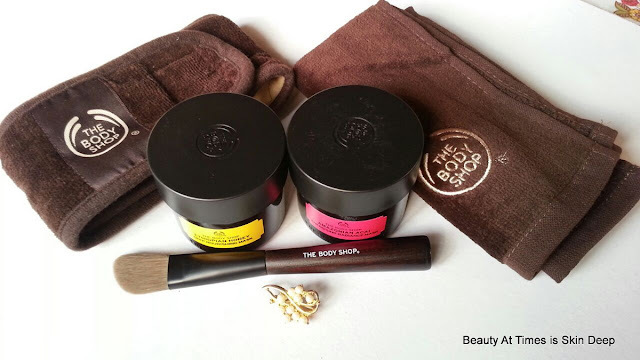 By the way, The Body Shop is hosting a #MultitaskMaster contest on their social media. Do check it out. These masks sound amazing. I've got to give them a try. I want to try Acai, Ginseng and Rice! Do review the radiance mask soon, is it helpful? The honey mask I'm not sure about... why not put raw honey on the skin instead! It's much more budget friendly, isn't it?